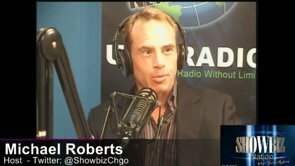 Founding Artistic Director Richard Kuranda and Williams Street Repertory have announced that John Michael Coppola of Chicago’s Jersey Boys will star as Bobby in their upcoming production of Company opening on February 1, 2013 at Raue Center For The Arts. Also joining the cast are; Matthias Austin (Peter), Sarah Breidenbach (Jenny), Chris Davis (David), Amy Ferraro (Sarah), Amanda Flahive (Amy), Frank Gaughan (Larry), Kate Hein (Marta), Mark R. Mahallak (Harry) and Dana Parker (April) are also cast in this production. WS Rep is pleased to welcome newcomers Teresa Arnold (Kathy), J. Matthew Madigan (Paul), Mary K. Nigohosian (Joanne) and Miriam Naponelli (Susan). Crew credits also include Phillip Denofrio (Props), T Paul Lowry (Scenic & Projection Design) Johnny Dwyer (Technical Manager/Sound Designer), Pat Henderson (Stage Manager), Rebecca Lowry (Designer), Mike Potts (Music Director), Steve Spera (Lighting Designer) , Chesney Murphy (Choreographer) and Kate Wilford (General Manager/Understudy). Richard Kuranda (O’Neill, Signature, Epic Rep, Actors Studio) directs the Musical as the company starts the new year. 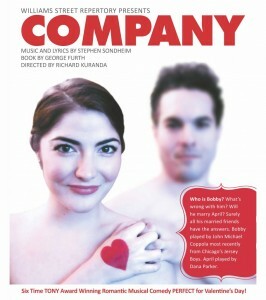 Company will run through February 16, 2013 (select dates and times). The book is by George Furth, and music and lyrics are by Stephen Sondheim. Tickets are on sale now online via rauecenter.org, and through the Box Office at 26 N. Williams Street or by calling 815.356.9212.